Meet Caitlin Lamb, 22 year old barrel racer. 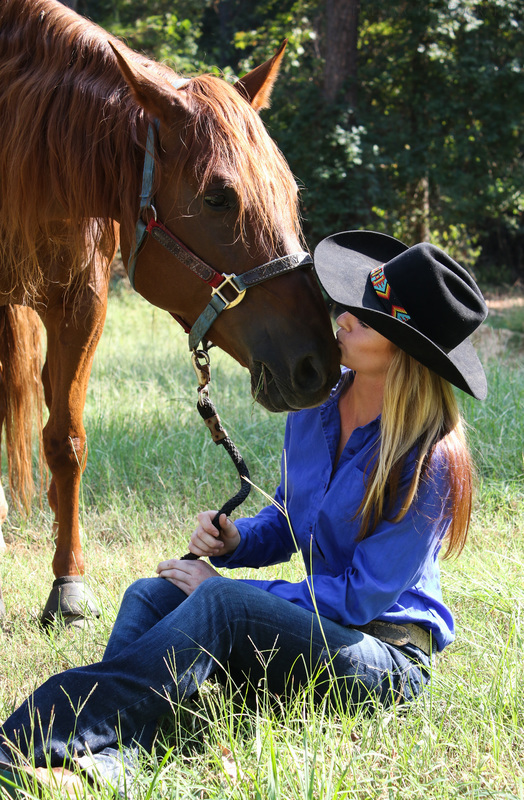 She got her first horse at the age of 6, when her stepmom brought barrel racing into the family. 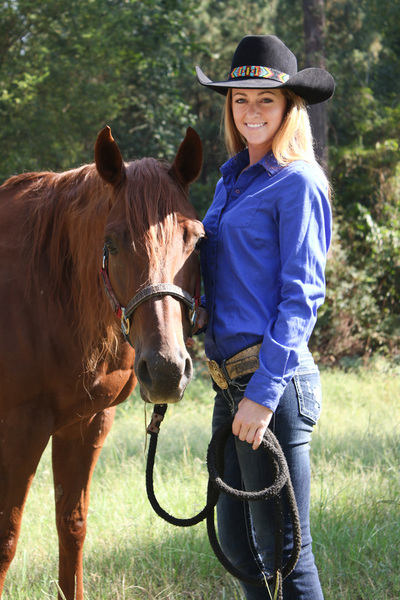 Caitlin started out competing at the local horse shows and county fairs. After racing all the way into high school, Caitlin realized this was something she wanted to pursue professionally. 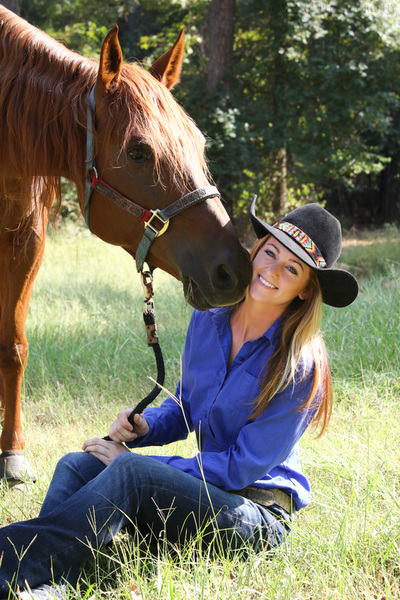 This year Caitlin has qualified for the Louisiana Rodeo Association Finals and says it is one of the biggest things she has accomplished. She says doing NBHA back in high school helped prepare her for the events she does today. 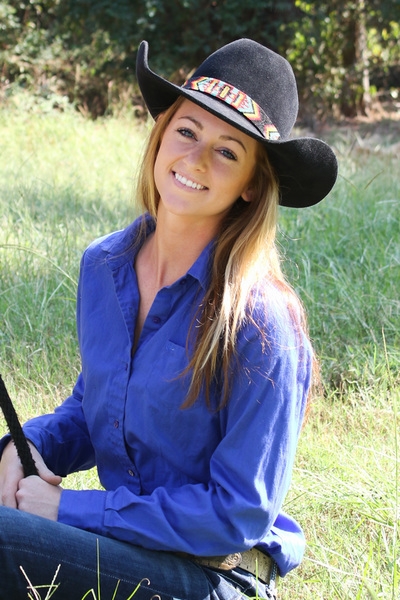 Caitlin also works at the Josey ranch in Marshall, TX and says that is something she really takes pride in. When I asked Caitlin who was an inspiration or mentor to her, she named her parents and Martha Josey. Since starting work at the Josey ranch, Caitlin said she has learned so much from Martha and her husband R.E. and that they have been major inspirations to her. But Caitlin said her biggest mentors have been her parents, who have supported her through her career and have taught her some valuable lessons. When it comes to competing against friends Caitlin described it as no big deal. “We do the best we can regardless, and we’re still there cheering each other on.” She says at the end of the day, they are there to have fun and it isn’t about competition. She enjoys having her friends to travel with and cheer on. I asked Caitlin how she would describe the rodeo community, and she hit the nail on the head. “It’s competitive, but we’re all one big family.” She said. Families are some of the most competitive people when put against one another, but when it comes down to it they’re also the people who will support you the most, and that’s what makes rodeo great. Caitlin told me about the best advice she’d ever been given and I feel like it’s something everyone needs to hear. “To keep going. You’ll hit rough spots, and you’ll go months without winning anything but just keep pushing and keep doing what you can.” Caitlin said. The advice she was given was incredibly accurate, and it happens all too often and discourages people. But success is the ability to go from one failure to another with no loss of enthusiasm. The best advice Caitlin would give someone else was much like what Alissa Burson said to me. Find someone who knows what they are doing and ask them for help. “You can’t just go out and start winning if you don’t have the right education.” Caitlin said. She talked about how working at the Josey ranch has helped her improve her own skills, but also how rewarding helping others in the clinics has been. ​I have to say when I met this girl at the Josey ranch she was incredibly sweet and soft spoken, nonetheless the stories she told me and the advice she gave was impeccable. Being someone who started at a young age and had a family member to look up to, Caitlin had grown up with her passion. When we went to go take the pictures with her and her horse, I could immediately see the bond between them. Her horse, Feisty, was surprisingly just as calm as she was, and while they both quietly sat in the grass while I took photos, Feisty was always touching Caitlin and nuzzling her with her nose. It was adorable to watch and overall I really enjoyed the time I got to spend with these two, who will without a doubt be very successful in the future. Thank you Caitlin for sharing your advice and stories with me, and I wish you the best of luck! Click below to see a few shots from Caitlin's photoshoot.